In mid-July, we dropped our motorhome off at an RV service shop to get one of our slides fixed-- a job that was supposed to be finished in one week. 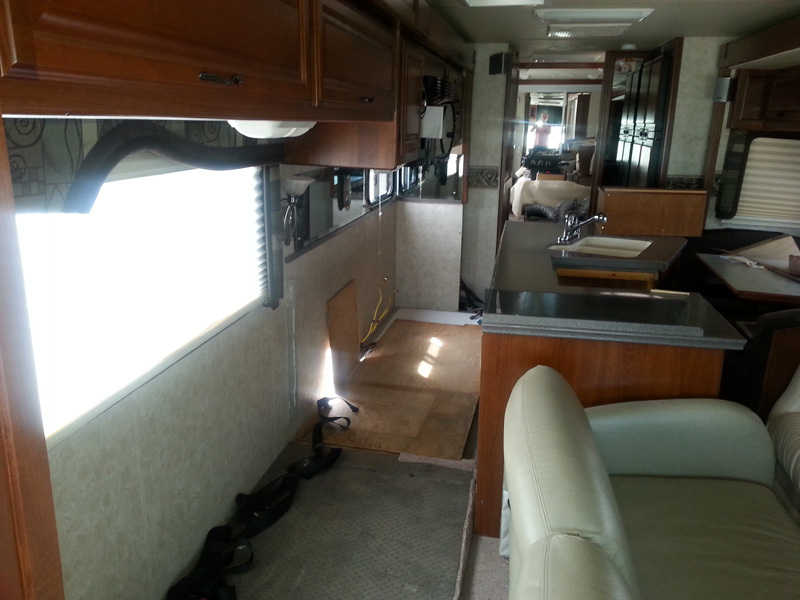 Two weeks later, we found our RV in a massive state of disrepair and the shop having problems finding original parts. We learned that the parts needed to be manufactured from scratch, which pushed the completion date out another two weeks. Not having a place to stay, we decided to fly to Ajijic, Mexico to spend time with friends and shop for our winter home. 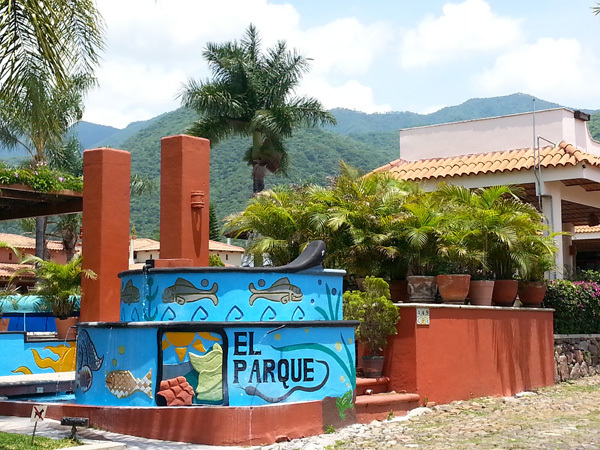 Having rented in El Parque 3 of the past 7 winters, it was natural for us to gravitate there. With 116 homes, a pool, hot tub and club house and close to shopping, dining and entertainment, we decided to make this our home starting in November. The moderate winter temperatures lured us to Ajijic in 2007, but it was our friends that kept bringing us back. Summer temperatures are equally moderate and the gracious hospitality of friends like Keith and Maureen has lured us to try Ajijic year 'round. An estimated 35,000 snowbirds make Ajijic their winter home and 4,000 expats make it their home year 'round. 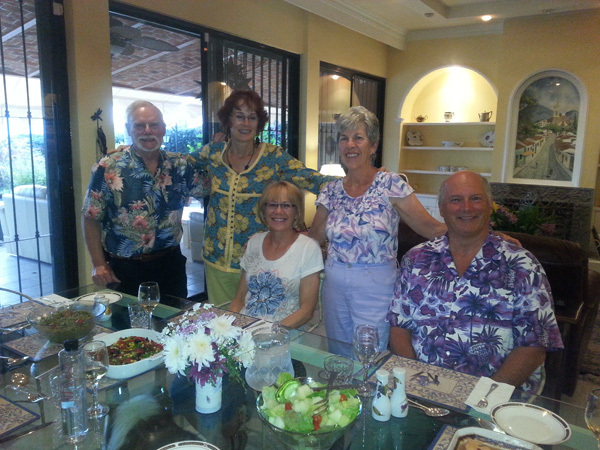 We were invited to a dinner party one evening with friends we knew and people we wanted to get to know better. 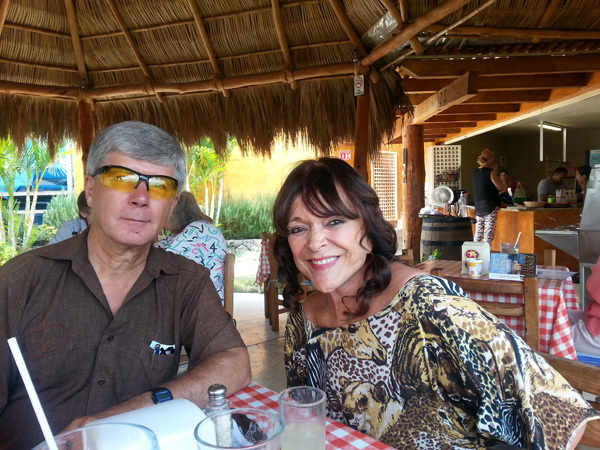 During one hectic day of viewing rentals, we stopped for lunch and ran into Norm and Lil, friends we have known since we started coming to Mexico. It was great to catch up, but more importantly, to slow down and enjoy the moment. 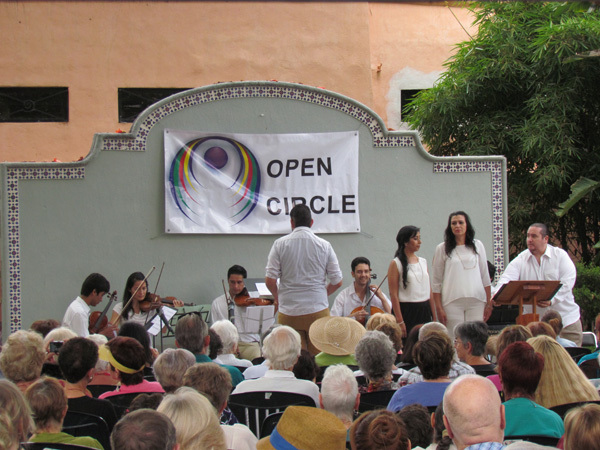 We were amazed at the huge crowd that packed Open Circle to listen to the Guadalajara Opera perform. The crowd out numbered a typical Sunday event during the peak season in January. It was a grand performance! 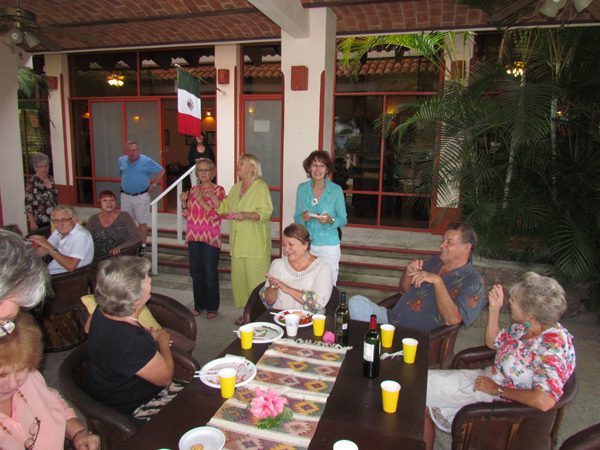 One of the cool activities that occurs in Ajijic is a monthly party to celebrate birthdays. 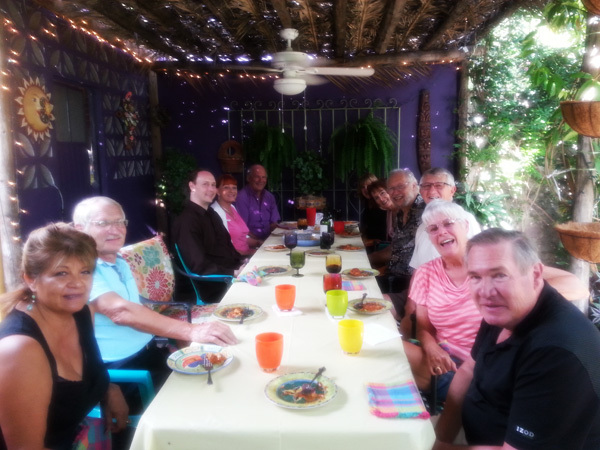 The August birthday was held at the El Parque Clubhouse hosted by Wayne and Maureen(in blue) who has an August birthday. It works!! It took four weeks to fix. 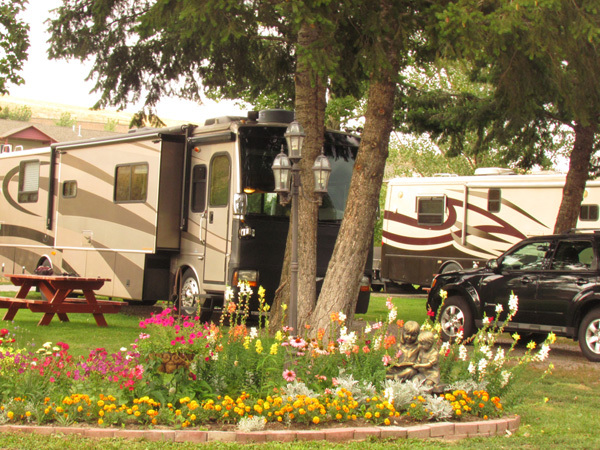 Once we returned from Ajijic, we picked the RV up from the shop and spent a week at this picturesque park outside of Missoula. We split our time there between biking and cleaning. The shop left us with more dirt and dust than we needed. Back on the road--1,240 miles and seven days from Missoula to Malibu to spend Labor Day weekend with Carmen and family. 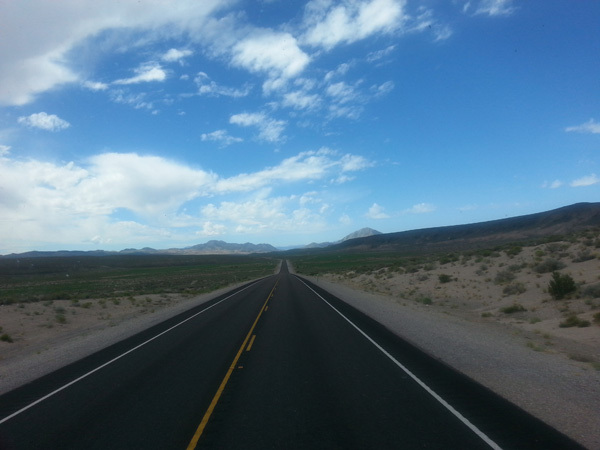 This picture was taken on a stretch of highway in Nevada--wide open and empty spaces gave us the highway mostly to ourselves. We spent a couple of nights in Vegas, home of casinos and replicas of romantic places from around the world. 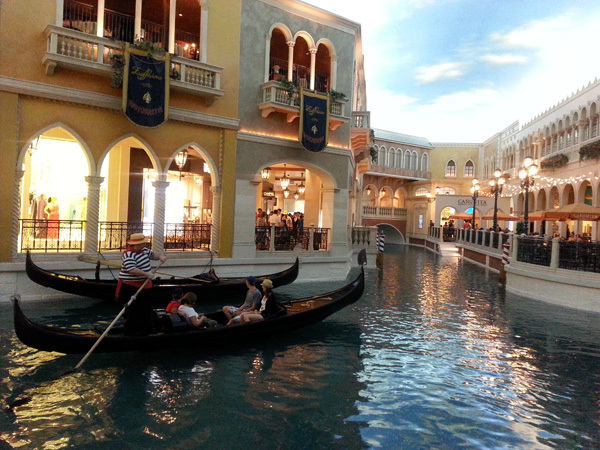 Here visitors were being serenaded while floating in a gondola through the Venetian's Grand Canal. Nice way to spend your time while waiting for a table. As planned Carmen, Mike, Dakota, Sierra and Hunter met up with us at the Malibu Beach RV Resort overlooking the Pacific Ocean. 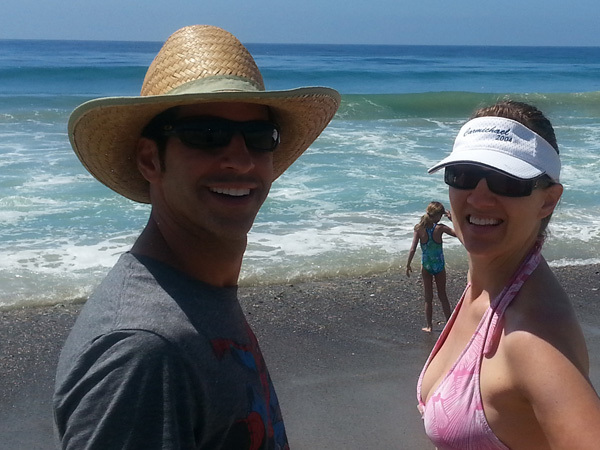 We were expecting the beaches to be crowded over Labor Day, so we were excited to have a large slice of the beach all to our own. 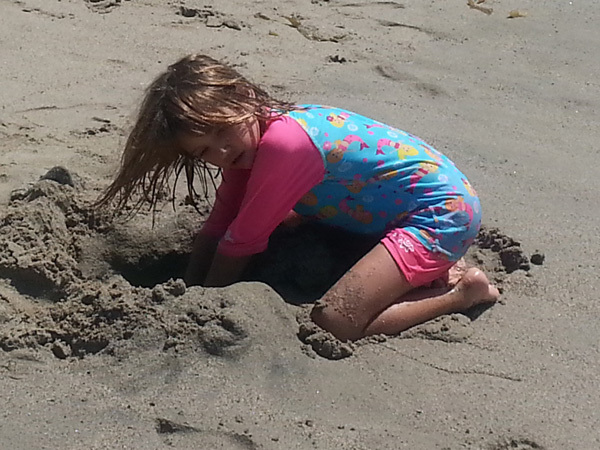 After teasing the waves for a while, Sierra decided to spend the day at the beach digging a hole to China. She worked hard, but didn't make it all the way. 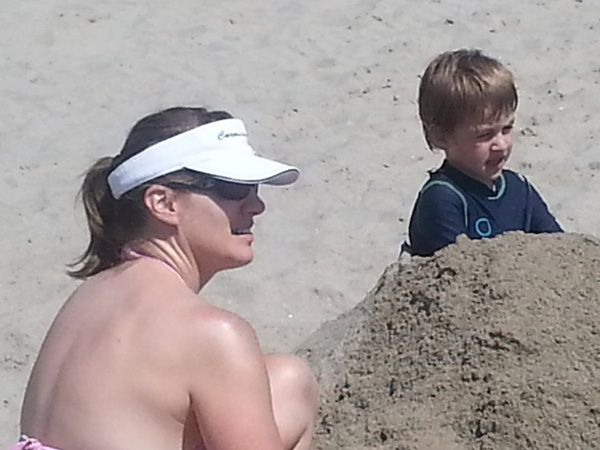 Hunter was the beneficiaries of all the sand Sierra dug up. Here Carmen used it to bury Hunter. That happened multiple times throughout the afternoon. 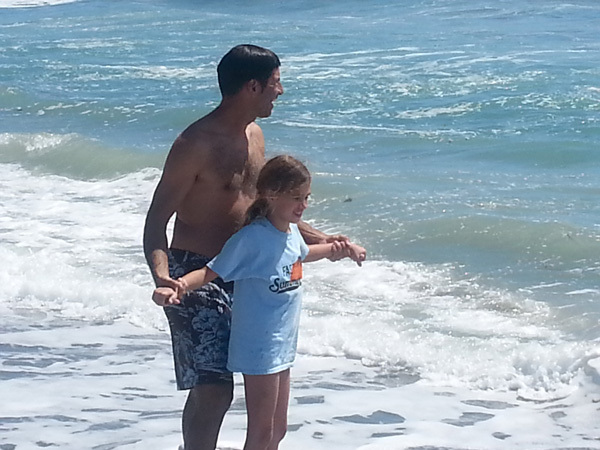 Mike and Dakota spent the day playing tag with the waves. And sometimes, the waves won and twirled them around like a washing machine. 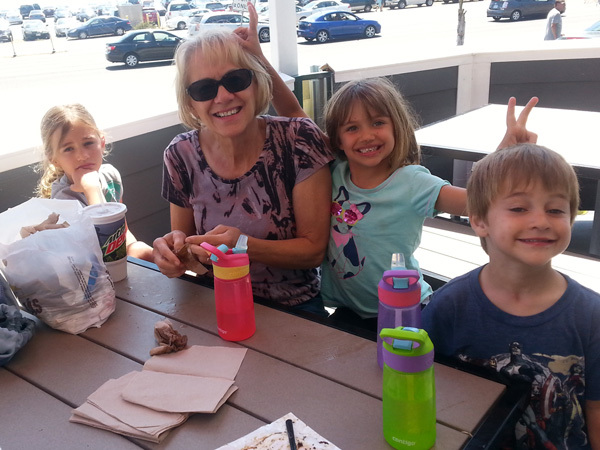 It was fun getting together and spending a beautiful, sunny day with family. 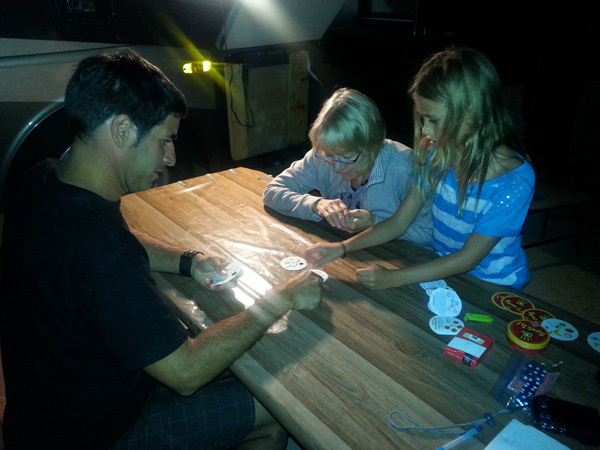 After a nice home cooked meal cooked on the grill, Grandma, Mike and Dakota spent some time learning a new card game. Round cards with no numbers made it an exciting game to learn. On Sunday, we took the kids to the Getty Villa home to oil tycoon J. Paul Getty. 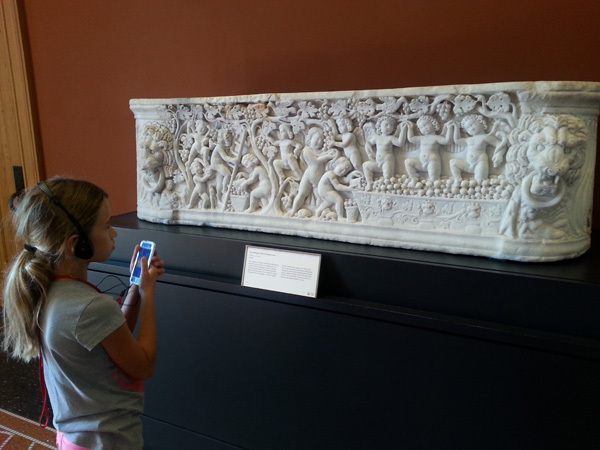 Here Dakota was fascinated with the audio tour describing one of the 44,000 Roman and Greek antiquities Getty had collected, all dating from 6,500 BC to 400 AD. This while Hunter and Sierra were resting. However, when it came time for snacks and ice cream, both Sierra and Hunter were up and enjoying the moment. Dakota was still pondering all the artwork she just observed. The weekend rolled by too fast and the kids were soon back in their school routine. We were glad we made the effort to enjoy the break with them.